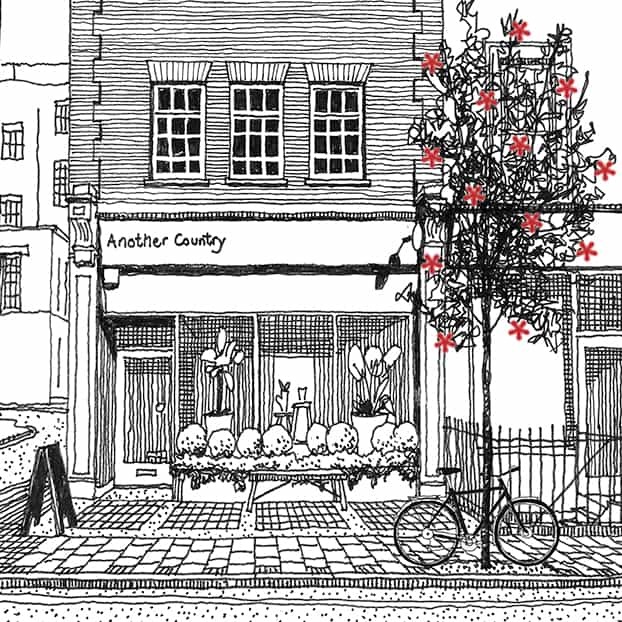 We’re lucky enough to have called Marylebone home since we opened our Showroom on Crawford St in 2014. The area is one of London’s hidden gems – tucked away behind the hustle & bustle of Oxford St and full of small, independent businesses and better known brands alike. 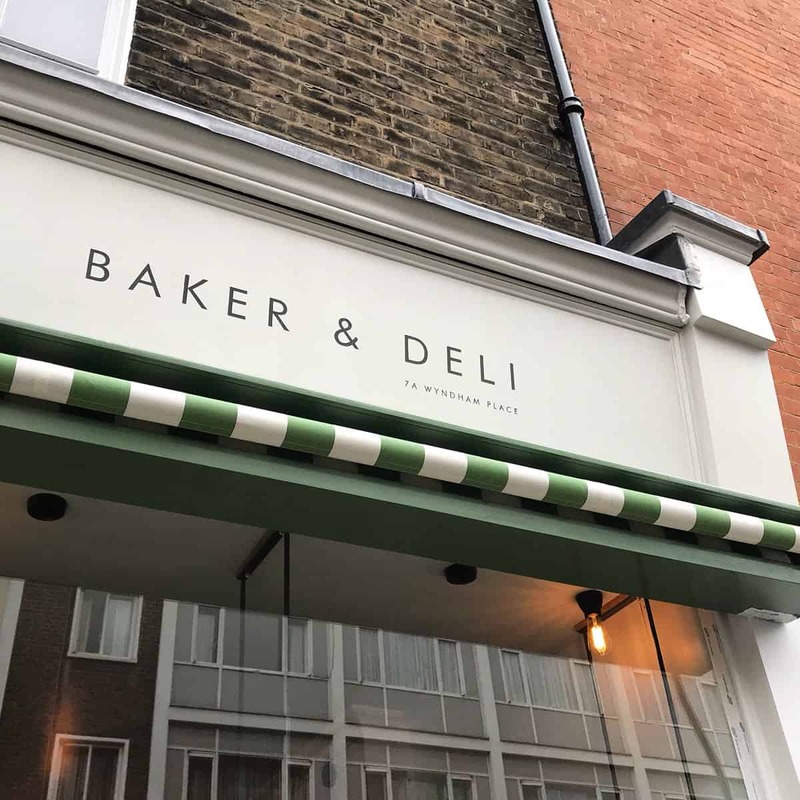 Below, we’ve highlighted some of our favourite shops in the area perfect for Christmas shopping, and some cafés & restaurants ideal for a quick coffee or a long lunch. Throughout December, in addition to our regular opening hours, our Showroom will be open every Saturday & Sunday from 11:00 am to 5:00 pm, and Thursday nights until 7:00 pm. 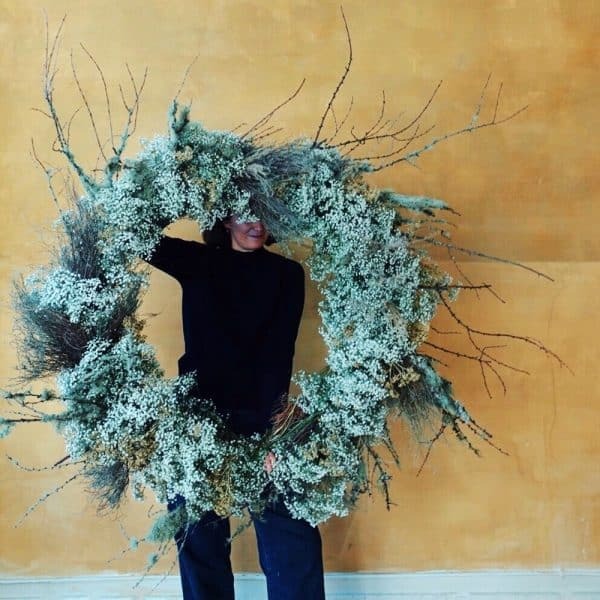 We’re also exhibiting at the Monocle Christmas Market on 1-2 December. Just down the road from our Showroom is Boxcar’s new bakery & deli. Get your day off to the best start with a coffee and something delicious from their breakfast menu. Whilst there, you might notice some beautiful looking tables & chairs, provided by yours truly. 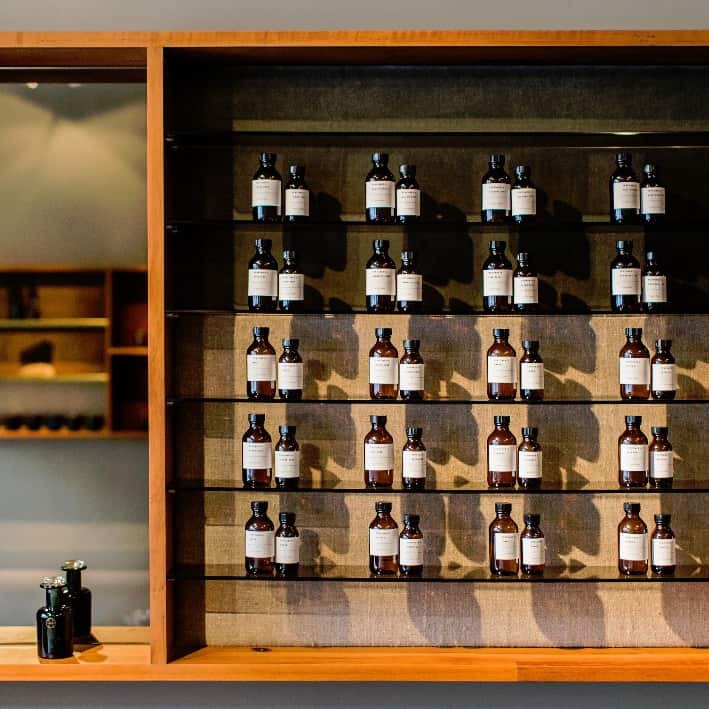 Next, head down the street to Perfumer H, a British perfume house founded by Lyn Harris which offers bespoke and seasonal fragrances & candles. The store is an oasis of calm and all the beautiful bottles are hand blown in the UK by Michael Ruh. 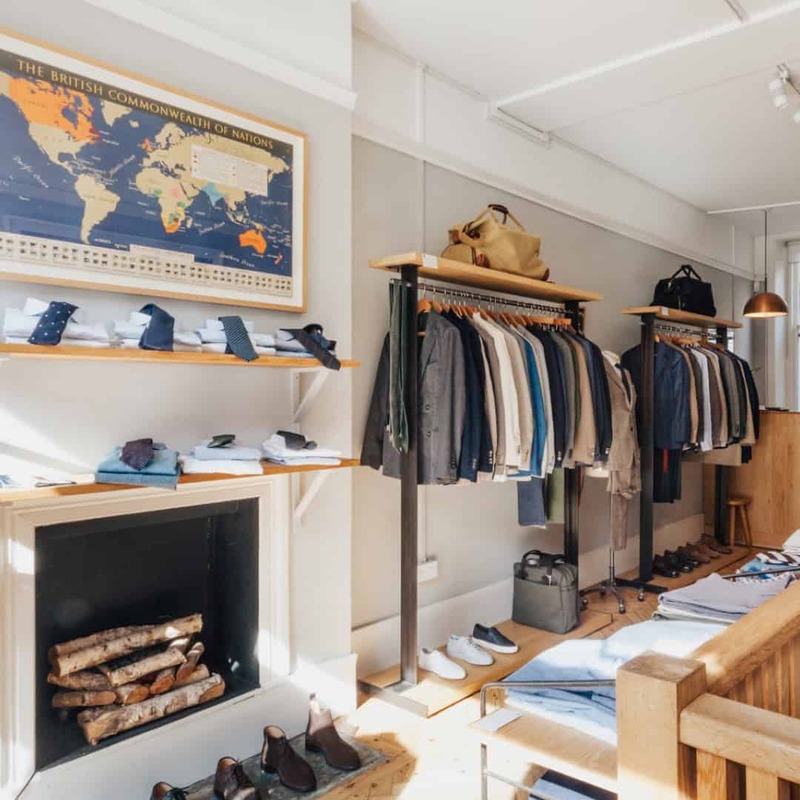 A 5-minute walk away is the sophisticated Chiltern St, home to many independent fashion brands, including Trunk – a menswear store which offers a considered edit of quality, wearable clothes and accessories for every occasion and destination. Trunk features emerging and established brands from Japan, Italy, the UK, Sweden, the US and beyond, alongside their own label collection. 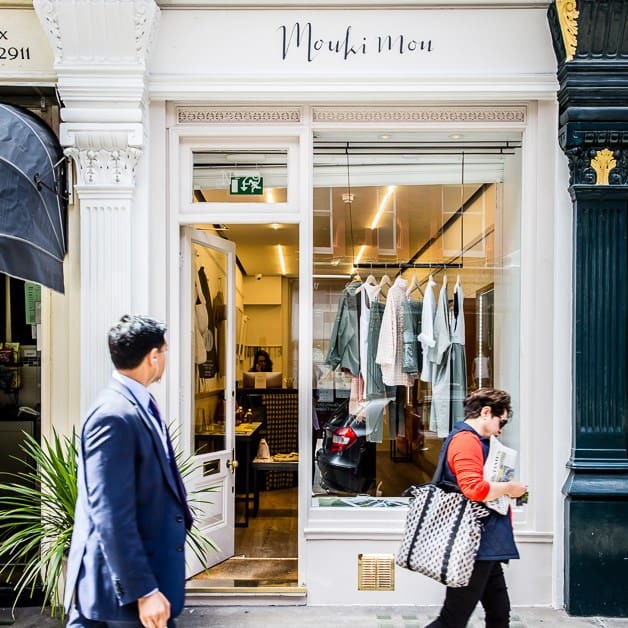 Staying on Chiltern St, Mouki Mou is a bijou design boutique which offers an array of shoes, clothes, jewellery and accessories from a concentration of lesser known Japanese and American labels. 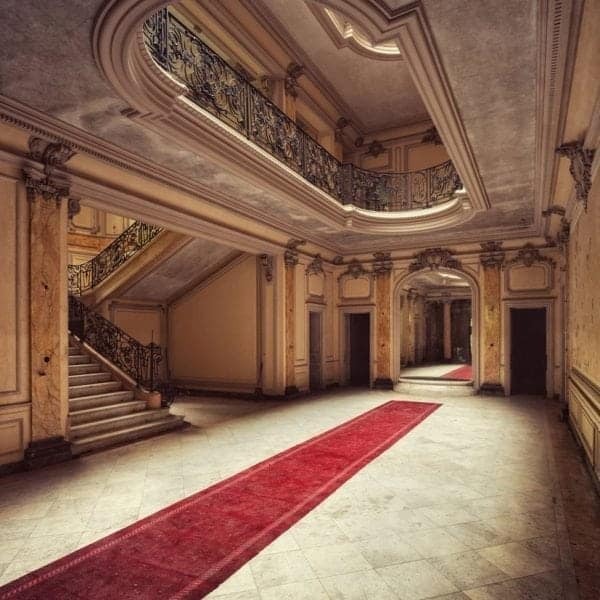 We always find something beautiful & unique in here. Your last stop on Chiltern St is John Simons. It’s hard to understate the role John Simons has played in 20th Century mens fashion. 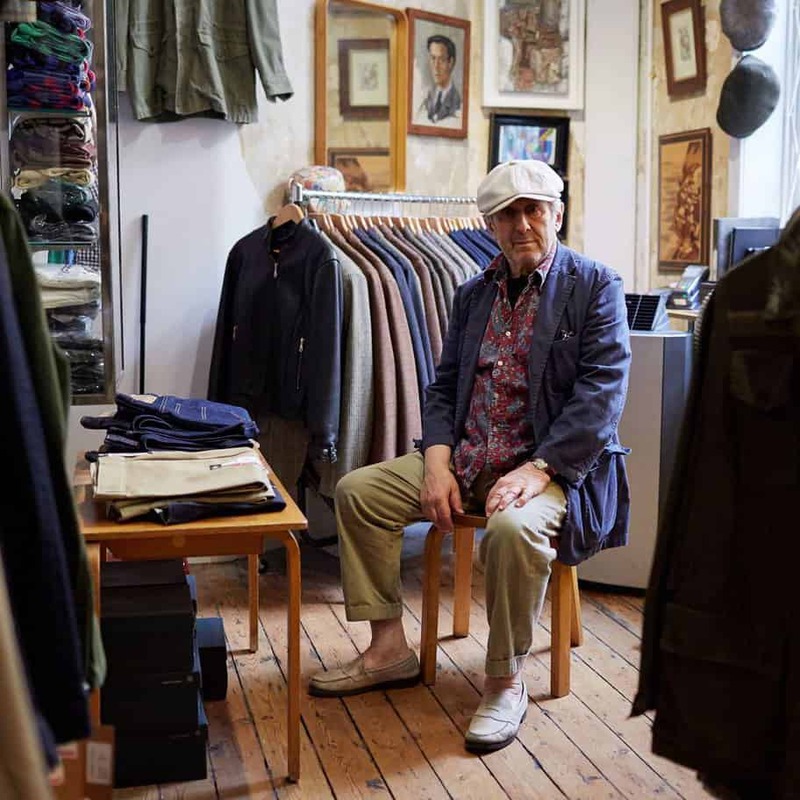 He’s been in retail for over 60 years and is responsible for bringing the “Ivy Look”, the apparently effortless American cool of the postwar years, to the UK as well as for naming the iconic ‘Harrington’ jacket. His shop stocks his own label, John Simons Apparel, and a great selection of imported American brands. 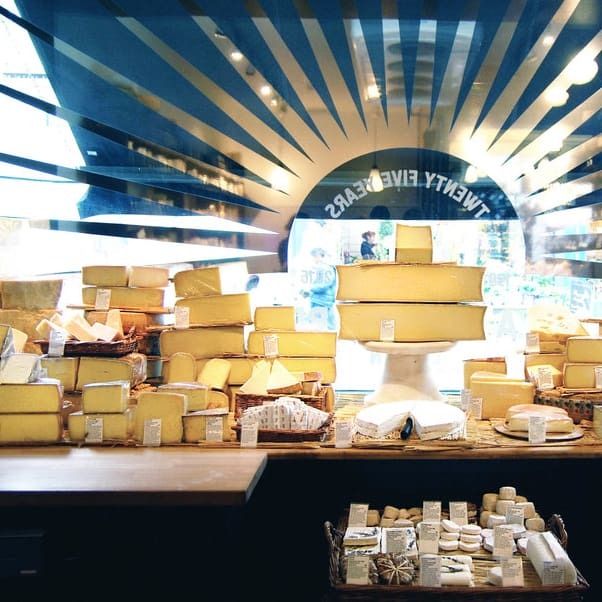 By now, you’re probably getting hungry, so head over to La Fromagerie just off Marylebone High St. The cheese & charcuterie boards on the lunch menu are a great way to decide what you’re going to buy to take home. As well as a huge selection of cheese, you’ll find cured meats, fresh fruit & vegetables and some excellent wines. After lunch, another short walk away is the meandering Marylebone Lane, home to a number of high-end fashion boutiques, including Kj’s Laundry. 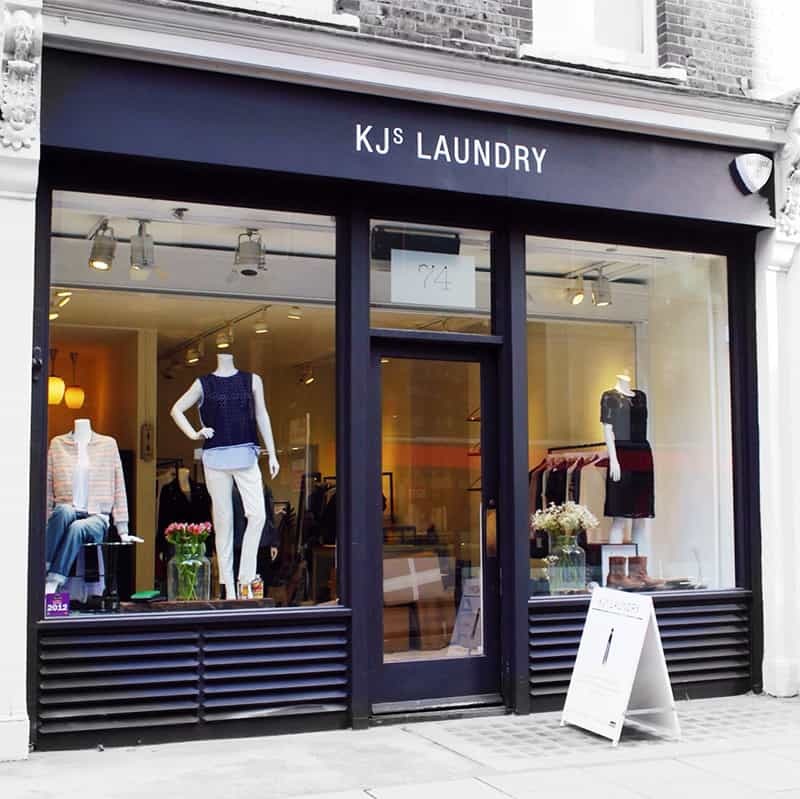 Launched in 2006 by two friends, Jane Ellis and Kate Allden, Kj’s Laundry focuses on niche, under the radar brands, and has become known for introducing new & exciting labels to the UK. From cosy Irish knits to designer evening wear, we love the variety & individuality on offer. 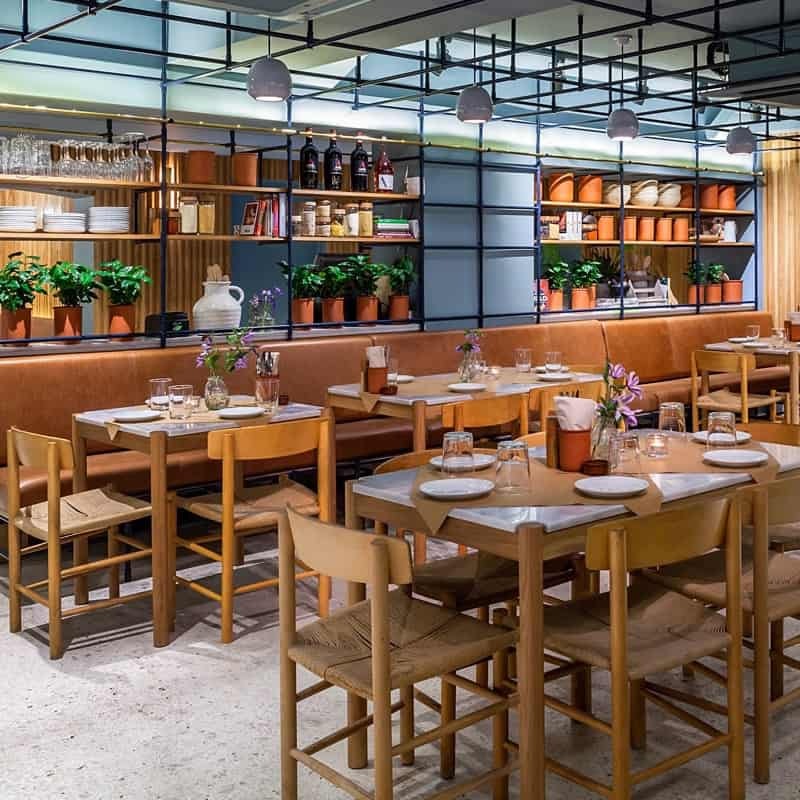 Whether you’re beginning or ending the day by meeting up with friends, it would be remiss of us not to recommend Greek restaurant Opso, one of our favourite places to eat in Marylebone. Whatever time of the day you visit, the brunch, lunch & dinner menus are all fantastic, and the mezze plates are ideal for sharing.